Gas Spring Operated Trendelenberg Feature. Weight capacity significantly increased to 500lb. 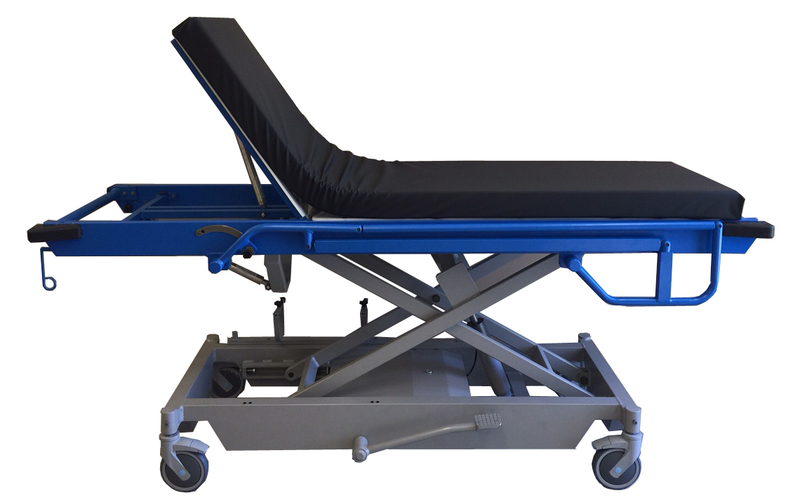 NEW Folding cot sides meets FDA height requirement for the Bed Rails. Flame retardant, SurCheck Fusion III High density mattress in a wipe clean material to prevent the spread of infection. Gas Spring Operated Adjustable backrest. NEW and Improved non-marking, Easy Steer low rolling castors and foot operated brakes.